Nintendo IRD was always the most America-centric of the four internal development studios in Kyoto. Their desire to appeal to an American audience gave them successes such as Punch-Out!! and Star Tropics. 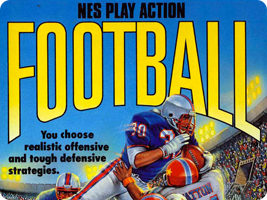 The three games in the Play Action Football series are not as well-known as they faced intense competition from the likes of Electronic Arts and other sports developers.